Top Tax Deferral Strategies | Pure Financial Advisors, Inc.
What are Tax Deferral Strategies? Tax deferral means taking a deduction and moving it into an earlier year or deferring some income to a later year. You are not really reducing your overall taxes, but you are getting a benefit up front. If you do these tax deferral strategies year after year and pay less in taxes up front, you can utilize the time value of money. This means that your dollars are more valuable today than in the future because they can be invested to earn interest, yielding more than a dollar in the future. This only works if that money is saved, of course! This tax planning strategy can be a great way to save money and save tax dollars over the long term and end up in a better spot. Here are six potential tax deferral strategies to utilize. If you have a retirement plan at work, like a 401(k), certainly take advantage of it. In 2018 you can put $18,500 into an employer-sponsored 401(k) plans. If you’re 50 and older, you can contribute up to $24,500. We got a $500 extra bump in 2018. If you have a 403(b) the numbers are the same, $18,500 or $24,500. Maybe your employer has a SIMPLE IRA. This is kind of the poor man’s 401(k), but they’re still great. It just means you can’t put as much in – $12,500 is your contribution limit or $15,500 if you are 50 and older. Business owners might want to consider setting up a 401(k). If you have employees, it must be either a Safe Harbor 401(k) or a full, regular 401(k). However, if you’re the only employee, or if it’s just you and your spouse, you can do what’s called a Solo 401(k), or owner-only 401(k). This option is very inexpensive. It’s really a great way to go, but if you do have employees, regular 401(k)s are kind of expensive, so that’s where you might want to think about a SIMPLE IRA. For business owners that have a lot of high profits, you might want to consider a defined benefit plan. With this plan contributions are not limited to that $24,500. Defined benefit plans are named that because they’re based on the future desired benefit. The older you are, the more you have to put into this account to get that desired benefit by the time you retire. You do have to cover your employees, so if you have a lot of employees, think about that carefully. But I’ve seen people get a $200,000 or $300,000 deduction, so if you’re a successful business owner, this can be a great strategy. This is a popular tax deferral strategy for business owners. In December, look at your year so far. If you’re having a successful year, pull your upcoming January expenses into the current year and pre-pay them. The other part of that is to try to push as much December income as possible into January. Don’t send out your bills in the middle of December, wait until January so the money comes in later. That way, you can defer the income and accelerate the expenses. This is an often-overlooked tax deferral strategy. Mutual funds, index funds and exchange-traded funds (ETFs) all have what is called their “turnover ratio”. Most of us are familiar with “expense ratio”, which is how much the fund is costing you each and every year. Those costs reduce your rate of return, so lower cost is better. When it comes to turnover, smaller is better too, from the simple standpoint that if it’s a high turnover rate, that means they’re buying and selling stocks more frequently. This means there’s probably more gains in your investment. If these investments are in your taxable accounts, you’re going to have to pay more tax on those gains, even if you are not receiving the money. In order to have a more efficient tax management plan, you actually want to look for a low turnover stock. Another one, also not widely considered, is high dividend paying funds versus lower dividend paying funds. Which do you think is more tax efficient? It’s actually the low dividend paying fund because a low dividend paying fund just means these are companies that are keeping their profit, and in essence, the stock price is going up higher. With companies that are paying dividends, you’re getting that money, so even if you reinvest it, you have to pay tax on it if it’s in your brokerage account or other taxable accounts, and the stock price is lowered by that amount. From a tax standpoint, I’d rather have a low dividend paying stock or fund, so that I don’t have to pay taxes on it when I don’t want to. Definitely worth consideration. This tax deferral strategy is for all of you real estate investors out there. This is actually a really big deal that not many people know about. The IRS has said that you can take future years’ depreciation and accelerate it, even more than the normal depreciation tables, simply by getting a cost segregation study. This is when an engineering firm comes in and looks at what you’ve purchased. Personal property is depreciated over five years and land improvements are depreciated over 15 years. Depreciation on a normal building is 27 and a half years for rental real estate and 39 years for commercial property. If you get a cost segregation study, you’ll get less on the back end, but you get a lot more depreciation up front. Furthermore, the IRS says that if you do a cost segregation study after you buy the property, say three years later, that extra depreciation that you could have taken in year one, two and three can all be taken in the year you do the cost segregation study. This can be a great way to have a really large deduction. Many real estate investors, once they learn about this tax deferral strategy, choose a property or two, do a cost segregation study on them one year. Then choose another couple of properties for cost segregation studies another year, thus saving on taxes on an ongoing basis. The 1031 exchange is another income tax deferral strategy for real estate investors. This is a way to buy and sell rental real estate property without paying tax. Once you sell a property, you have 45 days to identify up to three target properties to buy. Then you’ve got 180 days from close of escrow to actually buy one of those three properties. There are other ways to do this, but this is the most common method. Note: a 1031 exchange must be for like-kind property, meaning that you can’t sell a piece of a real estate and buy a boat. It has to be rental real estate for rental real estate, but the like-kind is pretty generous. Also, you cannot receive the money from the sale of the initial property – you must use a qualified intermediary. 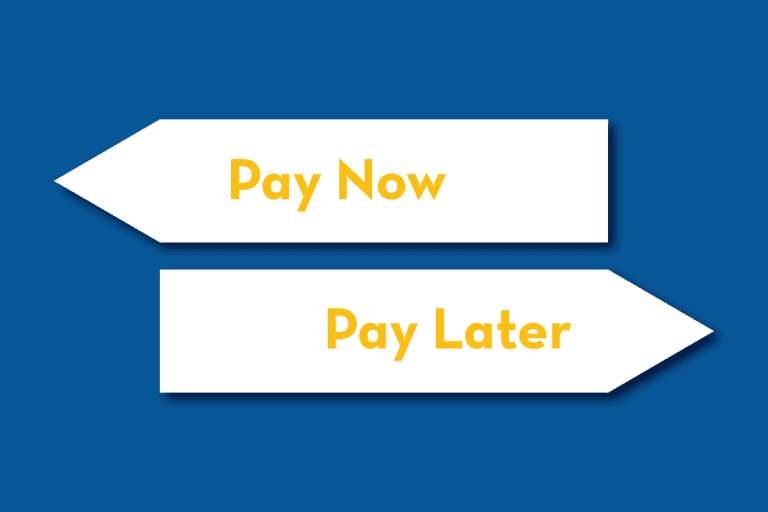 If you receive the funds from the sale for even a minute, it becomes a taxable transaction. The money from the sale is held by the intermediary, then once you purchase the other property, the money goes directly from the intermediary to the seller of the new property. It’s important that the qualified intermediary you choose is reputable and bonded. They’re going to hold your money for you, so clearly you don’t want to lose it! The charitable remainder trust is perhaps one of the best tax deferral strategies that I know. It works well for people that have appreciated property outside of retirement plans, such as real estate. Another example would be if you received a large amount of company stock from an employer. You’re holding it outside of retirement, it’s gone way up in value, and you don’t really want to sell it because you would have to pay big capital gains. You can actually put the real estate or the stock into a charitable remainder trust. Then the charitable remainder trust can sell the asset and no taxes are due because it is a tax-exempt trust. This way, you still have the full asset, you get a lifetime earnings stream composed of interest, growth, and principal. You’re also getting the principal back over your lifetime. Charitable remainder trusts are designed so that that 90% of the principal will come back to you over your lifetime, 10% will go to charity. If you die prematurely, the charity receives more. If you live a very long life, you get more, and the charity gets less. That’s why they’re tax exempt. Charitable remainder trusts work rather well even if you’re not that charitably inclined. However, because there is a charitable element, you receive a tax deduction in the year you put the property into the trust. For example, a million-dollar property goes into the charitable remainder trust. If you do what’s called an optimizing charitable remainder trust, which means the highest distribution to you, then 10% of the value, or in this example, $100,000 is a donation – a taxable deduction on your tax return in that year. Then you sell the property, you don’t pay tax on it, currently. You get a tax deduction for the charitable contribution. Your income increases because now you’re receiving income and principal instead of just income from your rental property. A charitable remainder trust really covers a lot of needs for a lot of people with appreciated property. As is often the case with personal finance, we recommend consulting a professional before undertaking any of these tax deferral strategies to make sure you’re properly protected. But when these strategies are carried out correctly, they can be excellent ways to defer taxes.